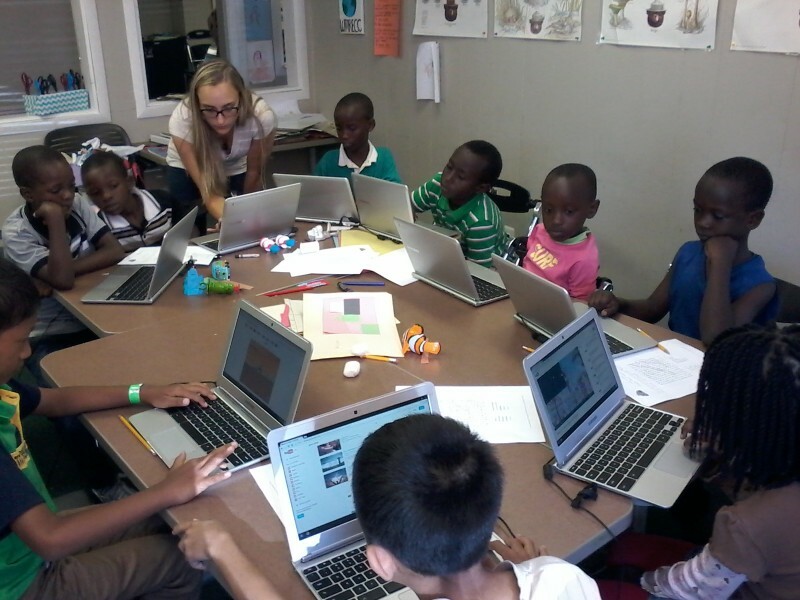 As local refugees work to help their children navigate the school system while navigating a new culture themselves, the West Michigan Education and Cultural Center provides education and liaison services as they build community in West Michigan. The West Michigan Education and Cultural Center (WMRECC) in Kentwood (2130 Enterprise Street) serves hundreds of refugees a year in the greater Grand Rapids area. Michigan is often among the top 10 states in the United States to accept refugees. The Center, founded in 2006 by immigrants and refugees, works to empower refugee families and kids to succeed at school, build community and foster cultural understanding. 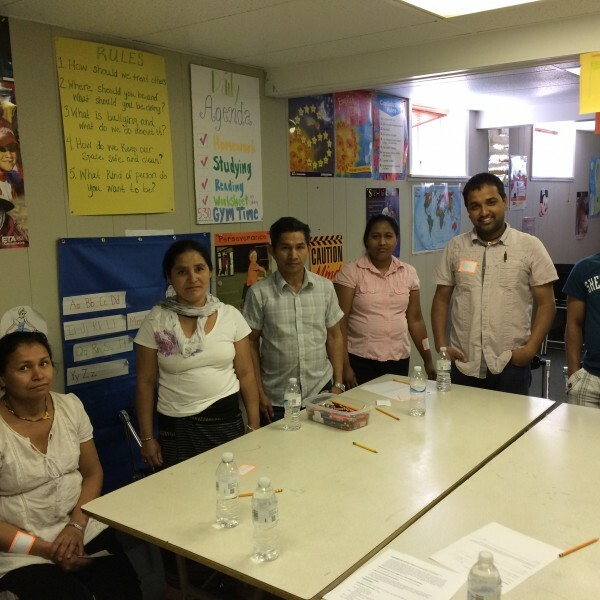 Nathaniel Harrison, Family Engagement Coordinator and Krishna Bista, a Community Worker who moved here from Nepal in December 2008, say there are many challenges that refugee families face. “Something I see within our [Grand Rapids] community is not being able to differentiate between immigrants and refugees. Refugee families are here because they were invited to come the United States. Where they were in the past, they just cannot live there anymore. They’re a refugee because they have that resounding fear of being persecuted in their home country,” says Harrison. In the last couple weeks in light of the intense debates around refugees nationwide, Harrison says response locally has been largely positive. "We have received many calls of support from community members, and many inquiries about the refugee resettlement process," he says. "WMRECC has not been negatively affected by the recent issues surrounding refugees, and I believe that is a representation of the sentiment the Grand Rapids community has when it comes to refugee resettlement. Grand Rapids has been involved with refugee resettlement since the 1950's and has created a very positive and supportive environment for the refugee population, which does not reflect the fear and concerns what some politicians have voiced over the recent weeks." Harrison notes that the Refugee Center does understand people's concerns with Syrian and Iragi refugees and emphasized that the refugee resettlement process into the United States is the most secure and intensive when compared to other countries. Of all the ways to enter the United States, he says, coming as a refugee is also the most intensive way a migrant can enter the United States. "We do have concerns about the proposed SAFE act, passed by the House of Representatives, and now waiting a vote from the US Congress. It is our fear that if this bill passes it will effectively shut down the entire refugee resettlement process- not only affecting Syrian and Iraqi refugees, but all refugees," he says. "We also have concerns for Syrian and Iraqi families already settled in the West Michigan area. The negative rhetoric expressed by some media and politicians surrounding the topic of refugees is not welcoming. These negative stereotypes and another stress to families already struggling to integrate into community, the workplace and schools." Harrison emphasizes that WMRECC is always willing to provide accurate information about the refugee process. The main focus at WMRECC, he says, is education and liaison services. The organization helps with enrollment as well as communication throughout the year, educating parents on things like parent-teacher conferences and how to become more involved in school, dealing with issues of school discipline as well as bullying..
"This is where a lot of families need our help, because it’s not only dealing with the language, but dealing with a different culture," says Harrison. “The big challenge is to get the kids enrolled in the school system. I’m very happy that we’re doing it as a team to help the community. Most of the newer refugees work in the factories and don’t know much about the American educational system and how to do the process. That is why it’s really necessary for us to help them." Bista points out that they work with three to four hundred Bhutanese students in the local school systems, but that there’s no one person in the school system assigned to help them. “The interpreter service is very good," says Bista, "but they cannot advocate for the family if they’re having problems." Beyond the basic ins and outs of the American school system, the differences are cultural as well. “The majority of the refugee communities we deal with have strikingly different expectations than what the administration of the American school system has. Questioning authority, teachers, principals: that’s almost unheard of. You wouldn’t do that. When it came to your child, the school- the teacher and principal- were in control of everything and if you sent your child to school you would be fulfilling your role as a parent. But that type of idea is not going to fly with the American school system where teachers are going to constantly press and like parents to be involved in their kids' educations. So if they don’t show up to parent/teacher conferences, or if they don’t respond to messages it can be seen as them not caring about education,” Bista says. Harrison and Bista noted repeatedly that a lot of parents work in factory jobs where the pay is decent, but they are often working second or third shift jobs, especially during their first couple years in America when they don’t have any seniority in the company. Many of them, they say, are working seven days a week just to provide for the family and don’t really have time to go to the conferences. Bista also makes sure to include that transportation is another barrier. Harrison notes that the biggest refugee communities in the Grand Rapids area are the Congolese and Bhutanese communities. 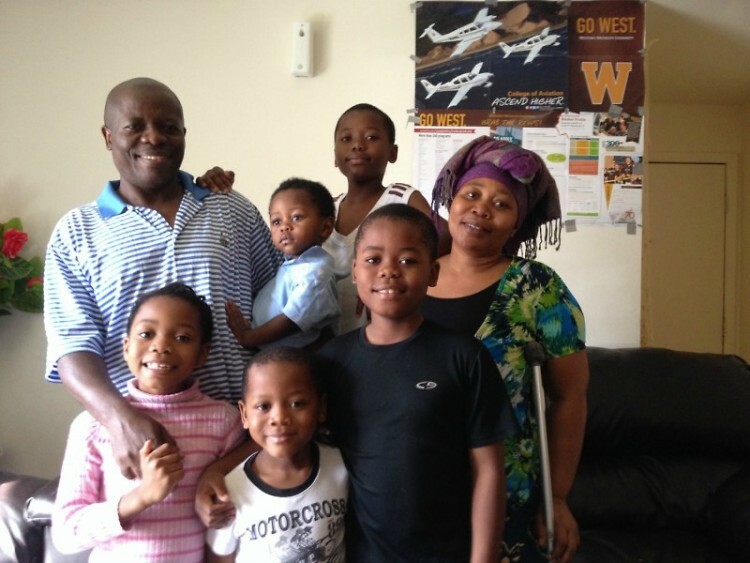 “The majority of Congolese families are resettled in the Grand Rapids area because typically they are much larger families, so finding housing for a family of eight is much easier than in Kentwood." Another cultural difference, says Harrison, is seen in the various ways people live in community. "We see more community parenting. Kids will be out running around and only a couple parents are there," he says. "It’s because a lot of the parents are at work and the others are watching the kids in the neighborhood and that’s not considered a big deal for the families. It’s expected." "When it comes to relations with police, there’s sometimes a fear because a policeman is not to be trusted where they’re from. There’s a lot of stories about issues with cars, people not realizing they need insurance, and people getting pulled over and there being a big issue because of the language barrier. And when it comes to schools, it’s also the language barrier. That’s where we come in with services, and advocating for the families, and making sure the families are supported and making sure their side of the story is heard," says Harrison. Bista says that the biggest problem he sees in the United States right now with his community, the Bhutanese refugees, is having the space to gather for cultural and religious celebrations. Harrison notes that a local high school does let the Chin community, a Burmese group, hold a Chin community night every year and it seems really welcoming there. “We have more Hindu than Christian Bhutanese refugees here in West Michigan. And here, it’s easier for the Christians to get the space than the Hindu families. In some churches they don’t allow other religions to gather, so that’s a big issue,” says Bista. One development that currently excites Krishna and Harrison is when they get to see the kids make it all the way to college. "We have a couple Bhutanese kids going to college this year and we’re excited to see how the the stories they come back and tell about furthering their education will influence their peers and communities." Current volunteer opportunities include tutor, parent mentor, ESL parent instructor and Nepali and Karen Interpretors. Contact the West Michigan Refugee Education and Cultural Center for more information.